We are just a week away from the New Year eve and it’s time to look back at the top technologies and innovations through the year. 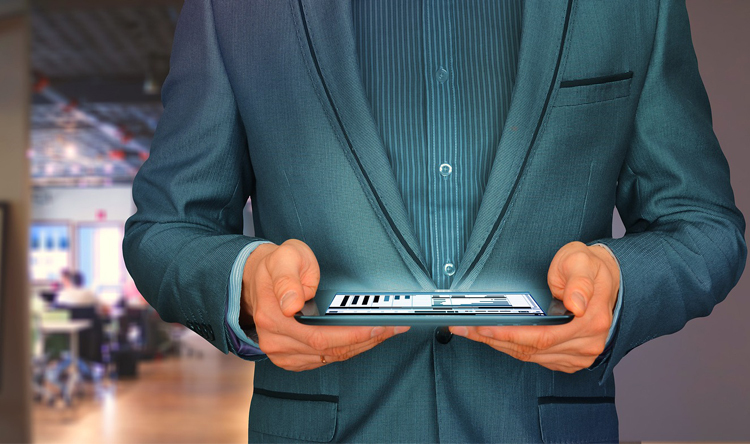 Last year was dominated by the eminence of VR technology; however, this year brought to us more diverse innovations in the field of technology. Which are those? Let’s find out in our exclusive list of Best of 2017 in technology and innovations. The displays of smartphones in 2017 have witnessed a new style. The 18:9 aspect ratio debuted in smartphones like LG G6 and Samsung Galaxy S8 or Galaxy S8+. Later, every smartphone maker is chasing the 18:9 display drift and launching one after another phone with similar display offering. Last year Xiaomi Mi MIX handset flaunted a near bezel-less display featuring an aspect ratio of 17:9; however, the 18:9 aspect ratio become popular after Google announced the support for the Android OS code for 18:9 displays. Like mentioned before, LG introduced the 18:9 aspect ratio with G6, then it launched Q6 and LG V30 which joined the 18:9 display bandwagon. After this, this display design quickly turned into a mainstream. Even inexpensive smartphones likes of Micromax Canvas Infinity bring the premium-looking 18:9 display feature in under Rs 10,000 segment. In contrast, the South Korean tech giant, Samsung initiated the tall display tech on its flagship smartphones called Galaxy S8 and Galaxy Note 8. But, the company opt for a slightly higher aspect ratio of 18:5:9. The tall display has its own perks when it comes to media consumption, gaming, and web browsing. Even the screen size is getting bigger on such 18:9 display smartphones, the form factor remains the same. For instance, a 6-inch smartphone having an 18:9 display looks and measures dimensions of a 5.5-inch display phone; and it is the best part of 18:9 displays. Our smartphones are now capable of saving more and more data. The 8GB or 16GB internal storage devices seemed like a thing of past in 2017. The phone is the best place to store photos, videos, contacts, and the confidential information. 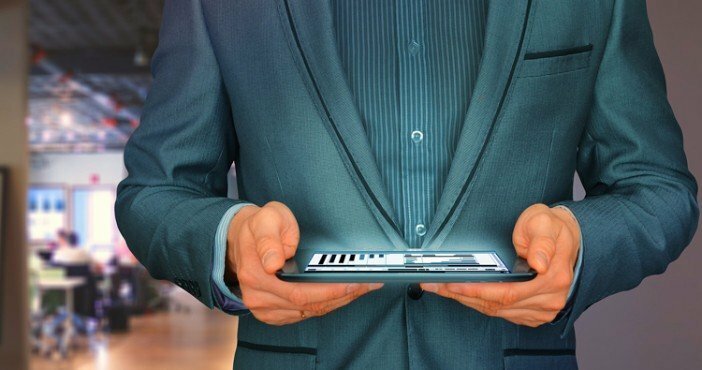 However, data security is an important feature which every smartphone maker is trying to incorporate into their latest offerings. Until now, the fingerprint sensor was the sole biometric authentication feature available on the smartphones. This year, smartphones met a new biometric authentication solution. Samsung introduced the IRIS Scanner in its Galaxy Note 7 back in 2016; however, the phone failed to make commercial success due to its battery debacle. This year, the company used the same technology in its Galaxy S8 and Galaxy Note 8 smartphones. While this was making a hype, Apple introduced its own solution for authentication. This year with iPhone X, Apple brings an all-new Face ID feature which uses facial recognition technology to detect and unlocks the smartphone using owner’s face as a password. 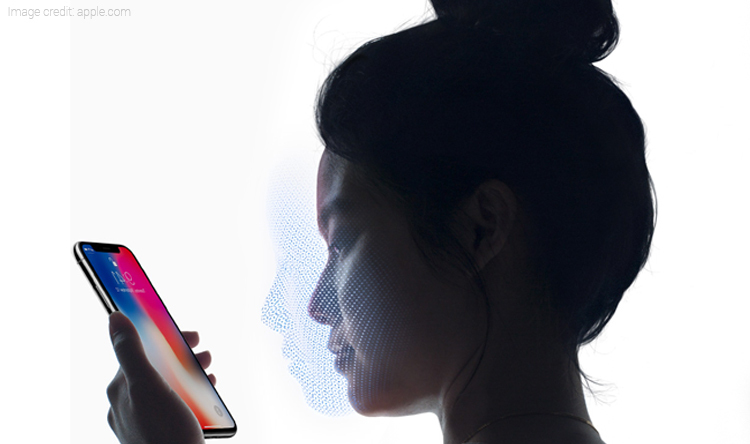 The Face ID tech on iPhone X utilizes a dedicated TrueDepth camera along with the infrared sensor. This module projects, map and then analyses more than 30,000 dots which are too small to see with a human eye. This basically creates a depth map of user’s face for authentication. Using Face ID, you just have to look at your iPhone X and it will automatically unlock the device. Moreover, the feature can be used for performing different things like making purchases on App Store. 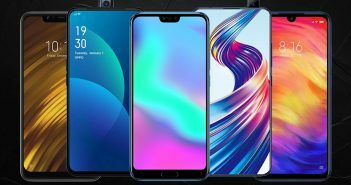 After Apple, other mobile phone manufacturers like LG, Oppo, Vivo, and OnePlus have included the face recognition feature on their latest flagship smartphones. Some of the best smartphones with face recognition includes LG Q6, LG V30, and OnePlus 5T. It’s worth mentioning that Apple has provided a dedicated hardware on the iPhone X device, while the other OEMs are providing a software solution which performs the facial recognition. The gamers rejoiced the year 2017 thank to the emergence of Nintendo’s new gaming console called the Nintendo Switch. It is a portable handheld gaming console that boasts a 6.2-inch HD touchscreen display. The gaming market is dominated by powerful gaming consoles by companies like Sony and Microsoft; Nintendo has bridge the gap in between dedicated gaming consoles and on-the-go play. The Nintendo Switch packs a display which can be connected to a pair of removable controllers which are used for playing games. In addition, you can remove these controllers and put the device on a dock. This will allow you to connect the Nintendo Switch device to a TV and will bring the console-like gaming experience. GoPro is certainly a renowned camera brand for recording high-quality action videos on the go. The GoPro Fusion is the latest offering from the company which integrates a 360-degree Fusion camera which is capable to record 5.2K videos at 30 fps. It has spherical sensors to capture a 360-degree view of the surroundings in video or photographs. It can also capture photos with 18MP resolution and 3K videos at 60 fps. 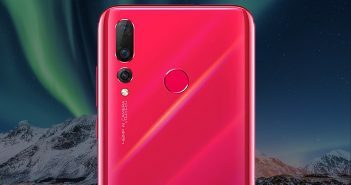 Moreover, there is an optical image stabilization, voice control feature and water resistance feature at up to 16 feet. Most of the modern smartphones are coming with two sensors to provide amazing photography solution on a handheld portable device. The dual camera smartphones in India is one of the most preferred features nowadays. However, there is a company who is thinking beyond the limits of a portable capturing device. When it comes to professional photography, the DSLR cameras have been the most preferred capturing device. 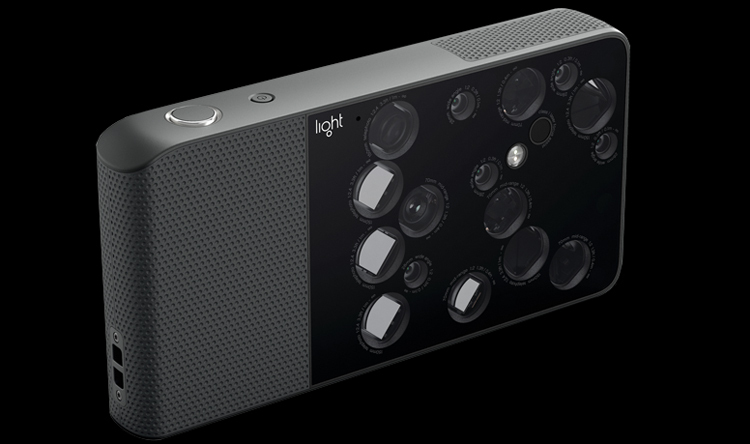 However, a new innovative product called the Light L16 is threatening the need of DSLR in future. The L16 comes with a 16 sensors module (yes, it actually has 16 different cameras) and still fills up the size of a smartphone in your pocket. But, do you really need so many lenses? Does it worth it? 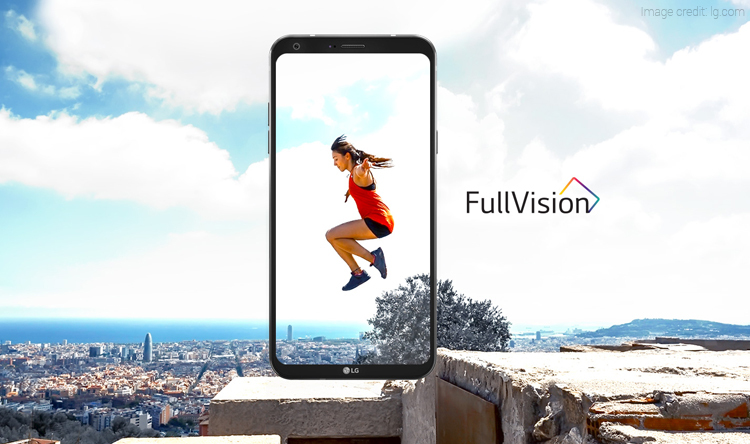 Yes, having a 16-sensor arrangement on Light L16 lets you take wide-angle photos, panoramas, standard photos, and let you perform an optical zoom of up to 5x. Like a smartphone, the Light L16 runs on Android OS and packs a powerful Qualcomm Snapdragon 820 processor. It also has connectivity options like GPS, Bluetooth, and Wi-Fi. 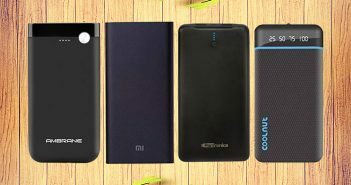 The device is powered by a 4120mAh battery which allows up to 8 hours of photography on a single charge. Moreover, there is 256GB onboard storage and has support for 4K video recording. The consumption of online content in India has increased with the arrival of cheaper internet data plans. Watching such content on a larger screen such as TV screen is a feasible option these days thanks to the streaming players. The devices like Amazon Fire TV Stick, Roku Express, and others are affordable tiny attachments which can get connected to TV via HDMI port. Using these, the users can stream Netflix, Hulu, YouTube, Amazon Prime and other online content on their TV sets. In 2017, many affordable streaming devices come in the Indian market which changed the content distribution system in India up to a certain extent.